So, today’s Holiday Cheer post is coming a bit later than I meant it to… and it’s also a different topic than it was originally going to be… which is largely due to an exploding candy thermometer… long story. XD So the originally planned post will be coming tomorrow, but don’t think that I’m going to leave you hanging on the holiday cheer front! It’s time to make a wish on a shining star… for some great new books you should totally check out! It’s the fourth day of December and right about now, people are getting into the full swing of things when it comes to holiday shopping. Whether you’re looking for a perfect gift or just need something to treat yourself with, I wanted to share some of the indie books I’ve loved this year or books I’m looking forward to reading. After waiting years for a new book (her last novel, Twixt, came out in April of 2013, so it’s been three and a half years! 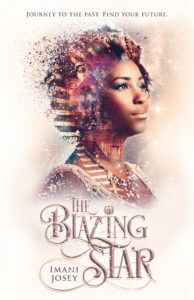 ), the newest YA release from one of my favorite authors, S.E. Diemer (previously known as Sarah Diemer), dropped out of the blue last week, and it sounds like a bombshell. This one sounds darker and grittier than her best-known book, The Dark Wife, but it also sounds reminiscent of Twixt, my favorite work by Diemer, so I’m confident that this one will be just as beautiful, moving, and hopeful in the face of darkness. This is a book I heard a lot of good things about when it was first released in 2014, but I never got around to getting a copy until this October, when a brand-new, updated and revised version hit the shelves. (Disclaimer: Okay, I formatted the paperback for the author and was so intrigued by the snippets I caught while formatting that I had to get a copy of my own!) I’m about a third of the way through it right now, and I am loving the quirky and resilient characters that live in Parole, a city engulfed in perpetual flames. 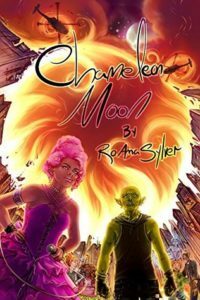 Though a dystopian at its core, Chameleon Moon has all sorts of cool paranormal aspects crossed over with a superhero vibe that makes this world really unlike any other. I’m dying to unravel the mystery of Parole and find out what part each of the characters play. When I got sick with pneumonia at the end of October, it meant that I had to spend a lot of time in bed. That’s not something I love to do, but one thing that I enjoyed passing the time with was listening to old episodes of the Stuff You Missed in History Class podcast. Somehow this devolved into me seeking out every single podcast they had about Prohibition Era and Depression Era gangsters, which are now my new subject of fascination. 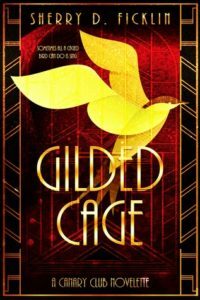 So it was perfect timing that I learned about a new novella that came out this week, Gilded Cage, a prequel to the upcoming Canary Club series. The story is all about the daughter of a notorious bootlegger, and how she comes to grips with her family’s business and how it affects every aspect of their lives. For anyone who’s interested in the culture of the Roaring Twenties and its thriving underworld, this looks to be an exciting read! Did you see my interview with Imani Josey last week? Can you tell I’m excited? I AM SO EXCITED! The book releases on Tuesday and I am doing the dance of impatience waiting for my copy to come. 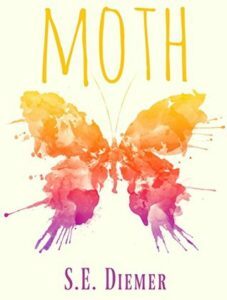 This story is about a modern girl named Portia who feels like she doesn’t quite fit in, and is standing in the shadow of her twin sister. But what happens when an ancient Egyptian artifact sends the two of them back in time? I DON’T KNOW, BUT I’M DYING TO FIND OUT! Early reviews are calling it beautifully written and full of lush imagery, and I love sister stories, so like… just put it in my hands now. XD I know this one is going to be a treat for anyone looking for YA with a dash of magic and history! 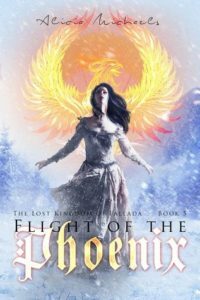 One of the first indie series I ever read was The Lost Kingdom of Fallada by Alicia Michaels, and I’m super excited because the newest book in the series is coming out right before Christmas this year! The Fallada series is a hugely expansive YA series that incorporates fairy tales, alternate dimensions and the Brothers Grimm (like… the actual brothers, not just their stories). It reminds me in a lot of ways of Mercedes Lackey’s 1000 Kingdoms series, one of my favorites. This one focuses on Queen Eranna’s daughter, and I’m so excited to see how her story will intertwine with the other characters we’ve met along the way throughout the series!